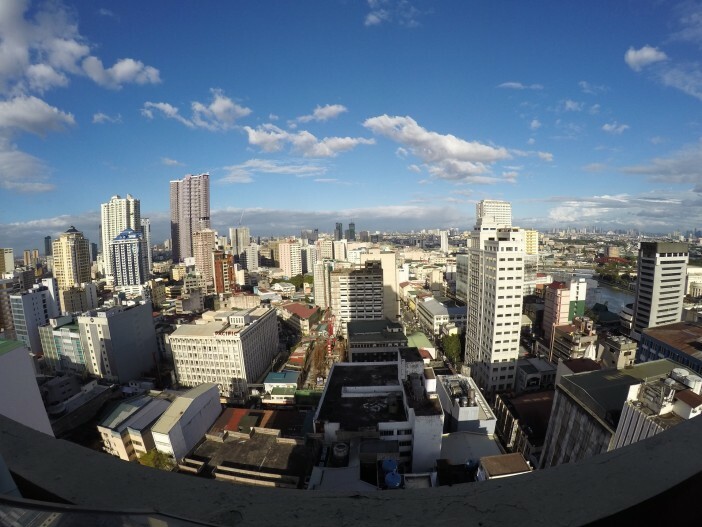 Manila is a vibrant and bustling city that gives visitors a unique taste of south-east Asian life, from markets overflowing with a kaleidoscope of colourful local produce, to authentic restaurants boasting a variety of unusual culinary delicacies. For the tourist that is willing to look beyond the rush of the crowds, Manila reveals a delightful array of hidden gems that show the rich history of this rapidly modernising city. Just 38.55 km2, this densely-populated city is home to some 1.65 million inhabitants, making total submersion in this atmospheric city easy for even the most fleeting of visitors. Perched on the edge of the ocean, with breath-taking Spanish colonial architecture jostling for attention with imposing modern skyscrapers all along the bay side, Manila is a must see for anyone hoping to get a real taste of the Philippines. For those sailing to Manila as part of a longer south-east Asia cruise, we have collected a stopover guide of essential things to see and do in this unique and fascinating city – including what to see, where to eat, and where to shop. Explore the city’s history, experience the world beneath Manila Bay, or simply watch the sunset as you absorb the atmosphere of this special city – the choice is endless for those lucky enough to stop over in Manila. Here are a handful of the best things to see and do during your visit. Until the end of Spanish rule in 1898, Intramuros was the centre of life in the Philippines’ capital. Built on the site of a riverside settlement, the huge stone walls and fortifications of the city were designed to protect its inhabitants from attack by sea or land. Although much of the old city was destroyed in the 1945 Battle of Manila, majestic examples of its impressive Spanish architecture and imposing fortifications can still be seen. Hitch a lift on a calesa (horse-drawn carriage) to get an authentic experience of this historic city and ensure that you don’t miss out on any of the main attractions. For a drop of tranquillity in a bustling city, visit Fort Santiago, which stands guard at the entrance of the Pasig River. Within its grounds you can explore the immaculately manicured gardens, sweeping plazas, and bubbling fountains, before heading to the famous arched gate. Within the fort is the Rizal Shrine museum, which commemorates the Philippines national hero Dr Joes Rizal. Rizal was imprisoned in the fort to await his execution in 1896, and penned his famous poem, Mi Ultimo Adios (My Last Farewell), there during his final days. A recreation of his cell, and the courtroom trial can be seen in the fort. Accessible by ferry, this island sits at the mouth of Manila Bay and played a significant role in the defence of the city during the second world war. The unrestored remnants of this battle can still be seen on the island, including barrack ruins, hidden passageways and ancient artillery. This fascinating island is not just a hub of historical discoveries, however, and also offers the best views across Manila Bay. Captivating for children and adults alike, the Manila Ocean Park offers a sneak peek at life beneath the waters of Manila Bay. The Oceanarium boasts a 25-meter curved walkway tunnel where visitors can enjoy a 220° view of Manila’s marine life. Sharks, stingrays and jellyfish can all be seen swimming above visitors, and the education area offers the opportunity to learn more about these enchanting creatures. If you’re feeling brave, or always dreamed of being a Disney mermaid, the park also offers a Mermaid Swim Experience, where you can learn to swim while wearing a costume mermaid tail. Stroll down the waterfront Baywalk in the late afternoon to watch locals socialising and fishing as the sun sets over the panoramic views of Manila Bay. The crowds offer a vibrant atmosphere to the waterfront, and the soft jingle of the ice cream carts should never be resisted. Although Manila offers foods to suit every palate, it is true south-east Asian food that really shines in this city. Head to Binondo, said to be the oldest Chinatown in the world, and indulge in some of the best cuisine the city has to offer. For a classic Asian experience, be sure to visit Lan Zhou La Mein (or The House of Pulled Noodles) to sample a range of food cooked in a traditional style. The noodle house boasts an Instagram-able array of dishes, including crispy, golden dumplings, mouth-watering noodle soups, and, of course, bowls piled high with soft, salty noodles. Must-try dishes include both the Beef Lamien and the delightful Spareribs Lamien. To see fast food done properly, visit Chuan Kee Fast Food. Nestled in the busiest corner of Ongpin, the restaurant offers heavenly dishes in a canteen-style setting. The speedy service and informal dining style make it the perfect place to grab a bite to eat between sightseeing. Must try dishes include the Kiam Peng with Lechon Kawali, and the Goto Soup, which isn’t called ‘go-to’ for nothing. Again located in Ongpin, the Shanghai Fried Siopao pork bun stall offers an exquisite taste of south-east Asian street food. Easy to miss on the bustling city street, this stall offers some of the most affordable and delicious foods you are likely to try in Manila. Savour piping hot at the side of the road, or take home for later, it really can’t be missed. The must try dish is, of course, the Fried Siopao, which encompasses a nugget of succulent pork enclosed in a soft, fried dough shell. Manila offers a variety of shopping opportunities to satisfy even the most avid of shopaholics. From luxurious brands to charming street markets, you shouldn’t leave Manila without experiencing the outstanding shopping opportunities the city has to offer. Divisoria Market is a typical flea market, perfect for finding unique products and amazing bargains. The shops here offer everything you can think of, whether that be exquisite souvenirs to impress people back home, or samples of local produce that you would never otherwise experience. Knowing how to bargain is essential in Manila flea markets, and if you’re good at it you can get some spectacular deals here. If you’re looking for traditional products made by local workers and artisan craftsmen, this is the market for you. The shops are small and sell clothes, material, groceries and other items at very reasonable prices. Meeting local traders and learning about traditional crafts can make for an extremely enjoyable shopping experience, which can then be followed by a visit to the nearby Quiapo Church. For a spectacular shopping experience, visit Manila’s Mall of Asia, which is not only the Philippines’ largest shopping mall, but is also the third largest mall in the world. As you would expect, the mall has an enormous range of shops for almost every product imaginable, from luxurious to budget-friendly. It also includes an eight-storey IMAX cinema and a huge number of restaurants, should the abundance of shops become a little overwhelming. If Manila has piqued your interest in a Philippines cruise break, why not browse our full collection of cruises to South-east Asia? With amazing prices on a wide range of cruises, you can afford to start planning your dream trip to the Philippines. For more information, call our team on 1300 857 345.